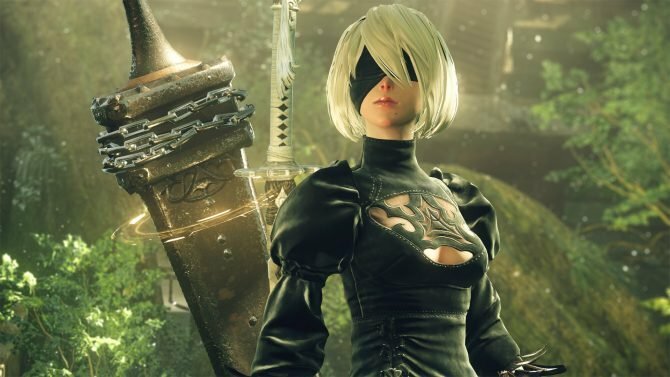 NieR: Automata is definitely one of the more interesting games coming to PS4 in the upcoming year, and Game Director Takahisa Taura wrote a blog post about the development of the title. Besides taking a look at a few rare work-in-progress screenshots taken within the development tools, we learn quite a few interesting elements about how PlatinumGames is working on the new NieR. 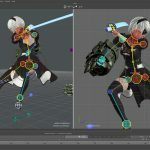 Developers use a dedicated tool to tweak the playback speed of animations in order to improve controller response and cancel timing. 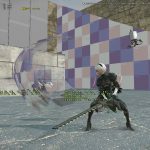 2B’s battle animations with the Katana are designed to express elegance during the whole motion. 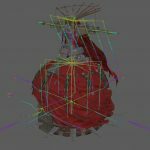 For the singing boss showcased during the E3 trailer, the rotation of the joints is often adjusted with the help of the mecha designer. It has 364 moving joints, of which 249 in its body, and 115 in areas like the cloak and skirt. The animation of the cloak has been somewhat exaggerated to express a sense of dynamism. 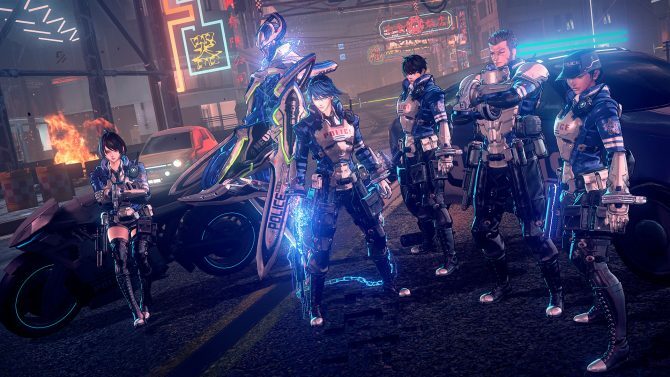 Three designers were involved in the design of the boss. 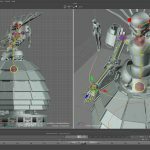 We also see an image from the sound design debug tool. 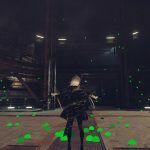 The green spots are areas where sound hits a surface and is reflected towards the player. In a small and enclosed space, sound reverberation will be shorter, while in spacious areas it will be longer. There is also a different behavior if the sound hits different materials like metal or ground. The team is aiming to achieve a realistic representation of sound field reverberation that changes dynamically depending on the environment.